Ringing in the New Year is a very special time for me and my family. Here there’s fireworks, flowers, lots of food, parades, red packets to be passed around, and lots of hugs and laughs with relatives we haven’t seen in months. Over in Hong Kong there are televised variety shows and a furious bidding war between companies to be the first commercial to air after midnight. This is Chinese New Year. Ever since I was a kid, while I’ve loved the counting down and first of January display of fireworks over Sydney Harbour Bridge, to me it has always paled in comparison to the celebrations of Chinese New Year. I’ll admit, there is a novelty to receiving money from relatives and the food is always a treat, but there’s something more to it. There’s a certain reverence and fervour attached to Chinese New Year, with horoscopes centering around our Zodiac being read out, charms being bought for good luck and prosperity, and a general display of goodwill and generosity across the board. That’s why it’s always interesting getting glimpses of that in video games, of all things, and it’s portrayal there. Two years ago the Year of the Snake DLC for Sleeping Dogs was released and I was ecstatic. I love Sleeping Dogs, the vibe and setting all work so well and it’s the only time I’ve seen Hong Kong fleshed out like this in a video game. Having grown up in Australia but making frequent visits there when I was a kid, I always relished seeing such a vibrant but imposing landscape of skyscrapers, night lights, red taxis, and green mini buses. Now being older I see more of the grimy mess, just like any urban sprawl: the constant construction projects going on, the crowded cemeteries, countless shopping centers, and the spread into the more natural landscape in the mountainous hills. What I appreciate so much is that this is all depicted in the game, albeit from the perspective of an undercover cop amidst the Triad conflicts, however that particular lens had an impact with me as well. Wei, the main character, is a fish out of water in every respect. He left Hong Kong as a kid, grew up overseas in the United States of America, was hardened and scarred there, and is only back for business with some personal issues sprinkled in. He may be Chinese, but he doesn’t understand what that means. He knows Cantonese, enough customs, the ways to get around any city and its underworld, but his heritage and culture are drowned out by his time in the US and how Westernised places like Hong Kong are becoming, and to some extent have always been. From his carefree, slick attitude to the last remaining vestiges of Great Britain’s ownership of the island in the form of district and neighbourhood names, Sleeping Dogs is the story of a place and people clinging to something old and new simultaneously. Contrast that with the fire of the celebrations with the waters surrounding the island, that are slowly being dominated by reclamation landscaping projects, and you have an accurate representation that is the melting pot of Hong Kong translated into a video game’s story and setting. This permeates over into Year of the Snake. In the Zodiac, the Snake represents many things, both good and bad. There are no one-hundred-per-cent virtuous or evil animals in the Zodiac, just a constant balance between all twelve of them, and the Five Elements revered alongside them. The Snake embodies a passionate interior masked by a quiet and humble exterior, wisdom beneath cunning, and a fickle as well as lonely lifestyle. In 2013, it was the Year of the Water Snake, a real twist seeing as Snake is always associated with Fire. However in terms of themes it works with the game. Water and Fire are in constant struggle, either seeking balance or eradication of one another, and represent well the internal conflict of Wei and many characters in Sleeping Dogs. It’s a short chapter but visually and mechanically the game does a lot to hammer home this stark contrast of tone between setting and story. Amidst the bombastic fireworks, colourful banners, and exuberant celebrations there is also a terrorist plot being concocted underneath everyone’s noses, looking to culminate in the New Year celebrations. Even when roaming around the open world as Wei, you’re primarily stuck in certain outfits from police uniforms to pre-chosen undercover outfits. 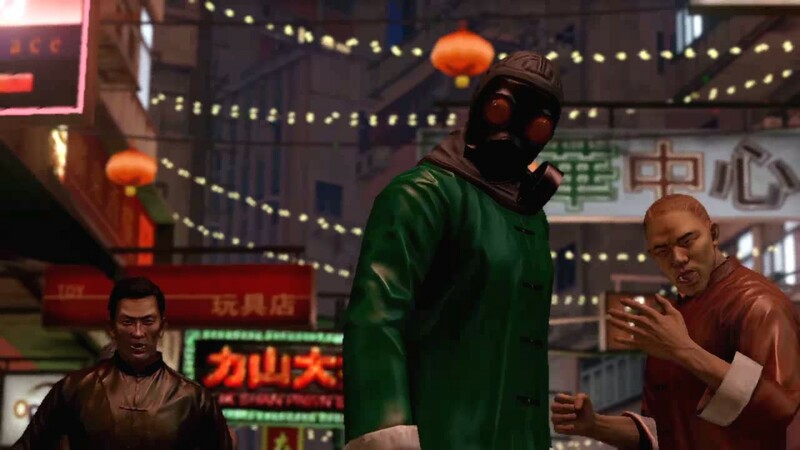 The city itself is both alive and dead, with plenty of celebrating going on in the background but Wei cannot participate in it, and you feel guilty for trying to do so with this bomb scare going on. Again, you are made to feel stuck in the middle of everything, however this time you have an out. You have a clear goal, with no more double crossing from either side. You just have to make it to the New Year. It’s fitting as well that Year of the Snake was the final DLC for Sleeping Dogs, serving as an epilogue of sorts for Wei and his story. In terms of the Zodiac and astrology, 2013 marked a beginning to a year of challenge and balance that should be strived for. With Wei having now ended his undercover status, but still retaining the interest of the Triad leaders, and looking for more stability, it fits that his final chapter with players should be more black and white in its tone. A fair balance for a character stuck in the middle constantly throughout the game’s plot. I don’t expect for every single video game to have references to Chinese culture and mythology. However so many games try to appropriate it, across so many genres. 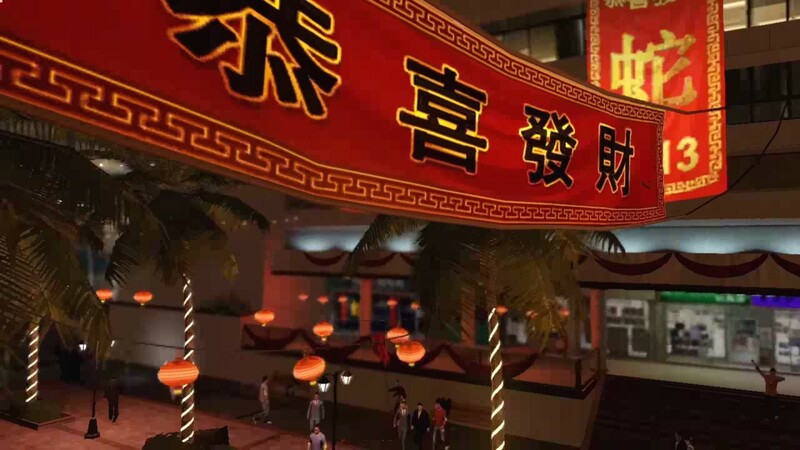 You have MMOs that shove Chinese New Year in as part of some world event that runs parallel to the real life holiday, usually filled with mini-games and limited-time-only currency and paper lanterns no matter what kind of setting it is. There are Chinese elements to RPG classes that are typically perceived as “Asian”, but only ever seen in a skin deep manner such as the Monk. Not to mention the one major Chinese character in the Assassin’s Creed franchise was relegated to an animated short and later side-scrolling DLC game. However this year, the Year of the Ram, things could be better. The Year of the Ram is said to be one of creativity, where art and beauty will flourish, where optimism will be rewarded. Already we have Shadowrun: Hong Kong slated for August this year, and I’m excited for that, plus Magic: The Gathering has been very successful with its most recent Mongolian-themed set. I want to see more of Asia in games, and not in any exploitative fashion, nor do I want it to be simply a cardboard backdrop. I want more worlds to explore and characters to meet. These places exist outside of games, but for many they are inaccessible for a multitude of reasons, and games like any medium can be a gateway to them. This isn’t something I want to hoard or have hoarded by others, I feel generous and want to share more. With Chinese New Year right around the corner at the time of writing this, I want to be hopeful that the industry moves forward and away from such well-trodden landscapes of more traditional Western fantasy and contemporary fiction. 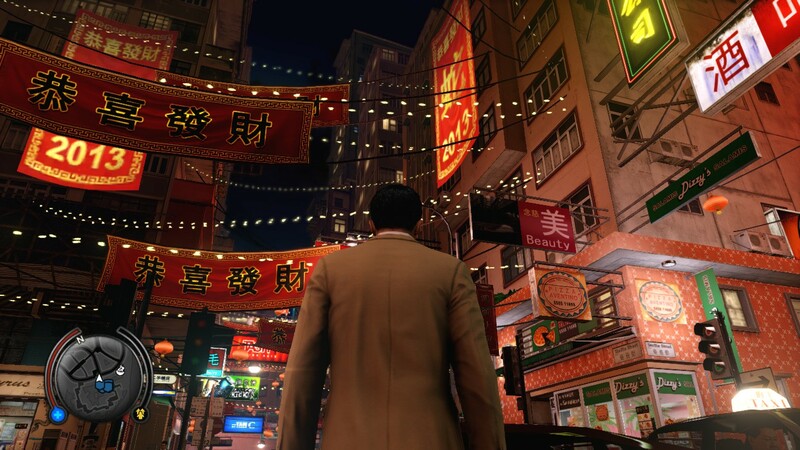 There’s just so much more to see and do and experience, and I’m glad Sleeping Dogs and Year of the Snake hold up in regards to making me realise that.